Below I have added a list of Green Manures which will be sown to over winter so that first thing once spring is well underway, you will merely chop ‘n drop (Cut and either leave the foliage / stems on the soil surface or compost them), to get the ”Green Manure” effect. 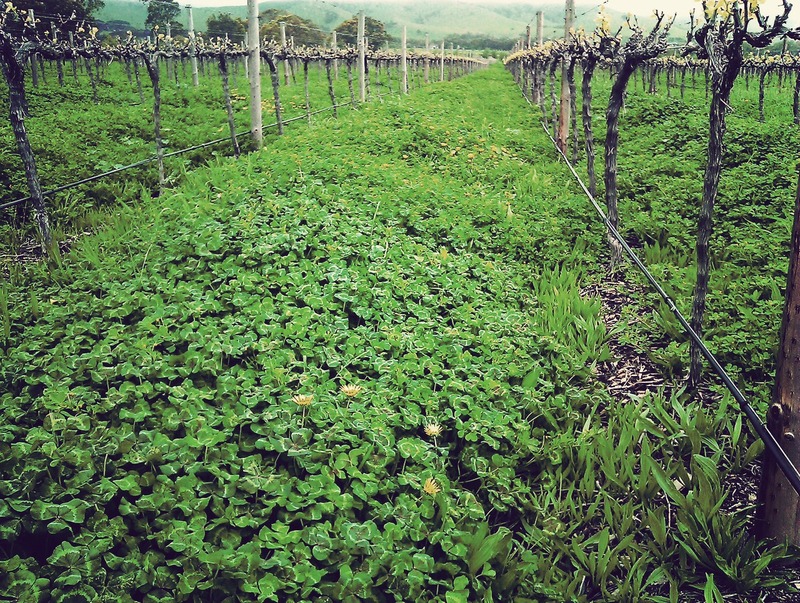 Alfalfa (Medicago sativa): This perennial legume can be dug in after two or three months or left for one to two years; sow in April to July; good for alkaline soils. Nitrogen fixing may only occur if the seed is inoculated with nitrogen fixing bacteria prior to sowing. Alsike clover (Trifolium hybridum): This perennial legume can either be dug in after two or three months or left in for one or two years; good for wet, acid soils; sow in April to August. Bitter blue lupin (Lupinus angustifolius): This perennial flowering legume suits light, sandy, acid soils; sow in March to June and leave for two or three months before digging in. Buckwheat (Fagopyrum esculentum): This half hardy annual will only grow in spring and summer best sown in April to August, it can be left for two or three months after sowing; grows well on nutrient-poor soils. Crimson clover (Trifolium incarnatum): This perennial legume is good for light soils; sow in March to August and leave in for two or three months up to flowering. Essex red clover (Trifolium pratense): This hardy perennial legume overwinters well and can be left in for two or three months or for one or two years after sowing; good for loamy soils; sow March to August. Fenugreek (Trigonella foenum-graecum): This annual legume will only grow in the spring and summer; it is unlikely to fix nitrogen in the UK. Grazing rye (Secale cereale): This annual crop is good for soil structure and overwinters well; sow in August to November and dig in the following spring. Mustard (Sinapis alba): This annual crop from the brassica family should not be followed by other brassicas, as it could encourage build up of the disease clubroot; sow in March to September and leave for two or three months before digging in. 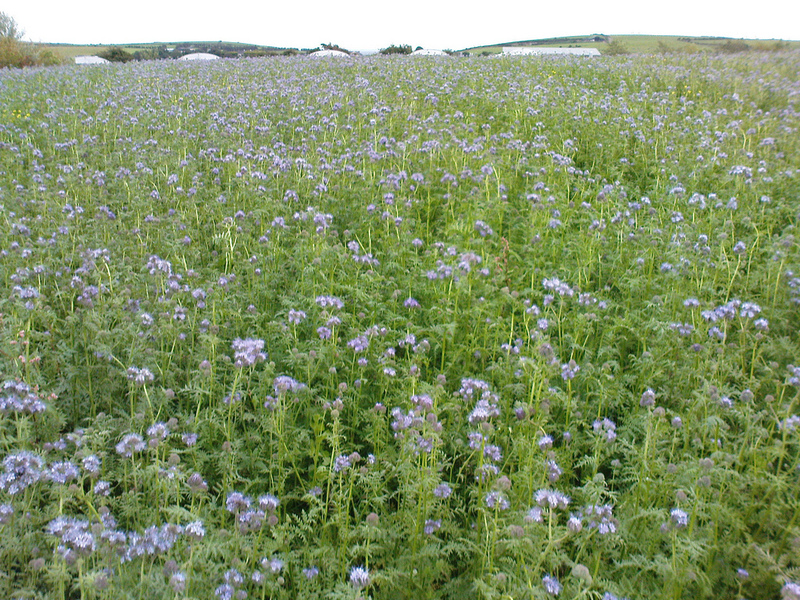 Phacelia (Phacelia tanacetifolia): Later sowings of this annual crop may overwinter in mild areas, but it is generally best sown in April to August and dug in after two or three months; its flowers are very pretty. Trefoil (Medicago lupulina): This legume can be annual or biennial and overwinters well but needs light, dry alkaline soil; it can be dug in after two or three months or left for one or two years after sowing; sow in March to August. Winter field bean (Vicia faba): This annual legume can be left for two or three months after sowing (up to flowering) and is good for heavy soils; sow in September to November. (Use in place of Broad Bean [Fava Fava] as they are generally cheaper to buy). Winter tares (Vicia sativa): This annual legume is hardy and overwinters well, even in heavy soils; sow either in March to August and leave for two or three months before digging in, or sow in July to September for overwintering. A dense carpet of green makes a perfect environment for slugs and snails, so control measures may be needed after green manuring. Decaying green manures can suppress plant growth, so allow at least two weeks between incorporation and planting or sowing.